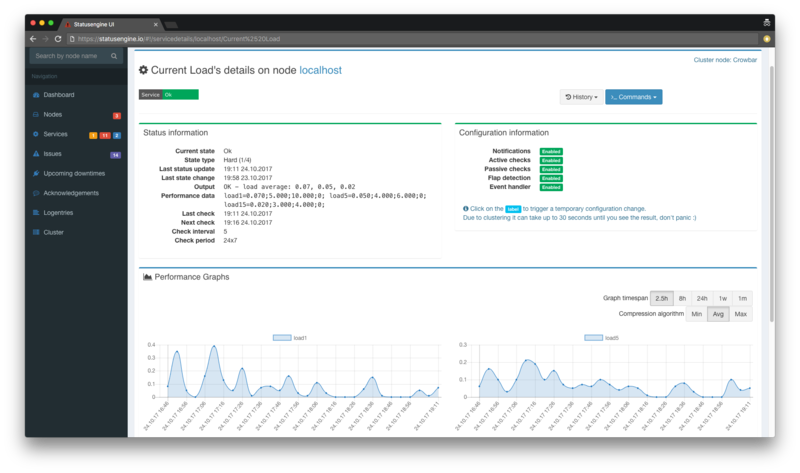 In this tutorial, we are going to configure your system, to store Nagios and Naemon Performance Data into an MySQL database. MySQL Server - If you don't have MySQL installed yet - follow this guide. # WARNING: Do not set use_mysql and use_crate to 1 at the same time! Even if you set use_mysql=0, because you don't want to use MySQL as Storage Backend for your status data, you can still use it to store your performance data into it. 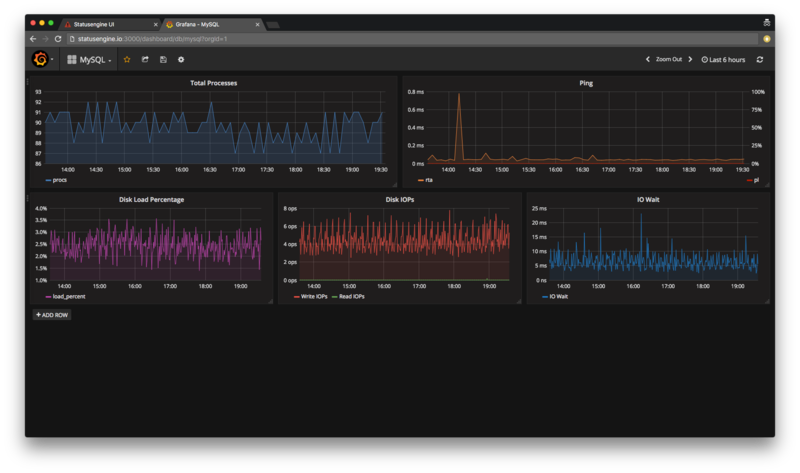 The metrics will be exported to the table statusengine_perfdata. After you restared Statusengine Worker, you should query your database to make sure, that performance data records gets saved to your database. The amount of records you will see, depends on how many checks your system executes and how frequently they get executed. If your result is zero, you should wait a few minutes before you continue with this guide. 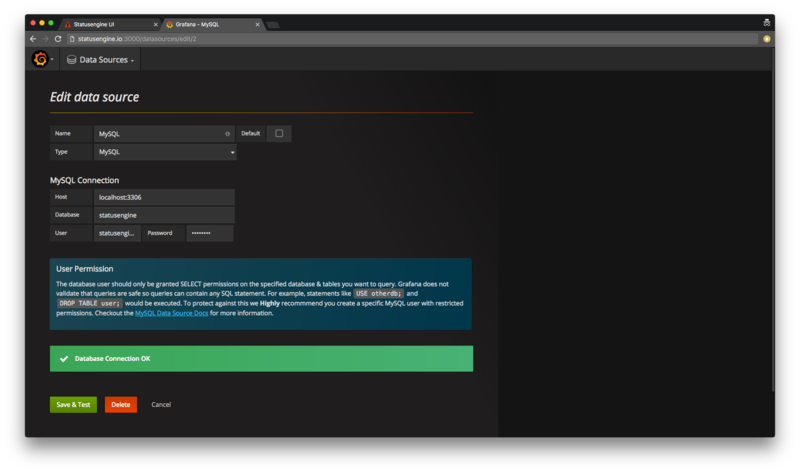 Statusengine Ui is able to render basic performance data, from an MySQL data source. Even if you set use_mysql=0, because you don't want to use MySQL as Storage Backend for your status data, you can still use it to query your performance data. 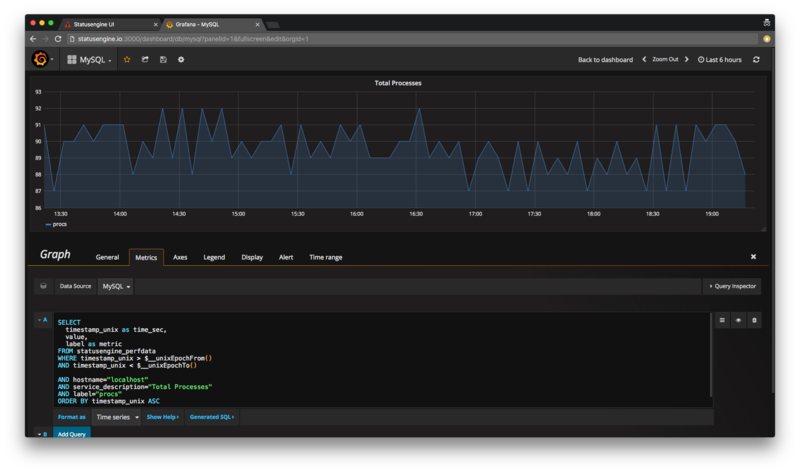 Once performance data gets stored to MySQL, you can also use Grafana to build up own dashboards. 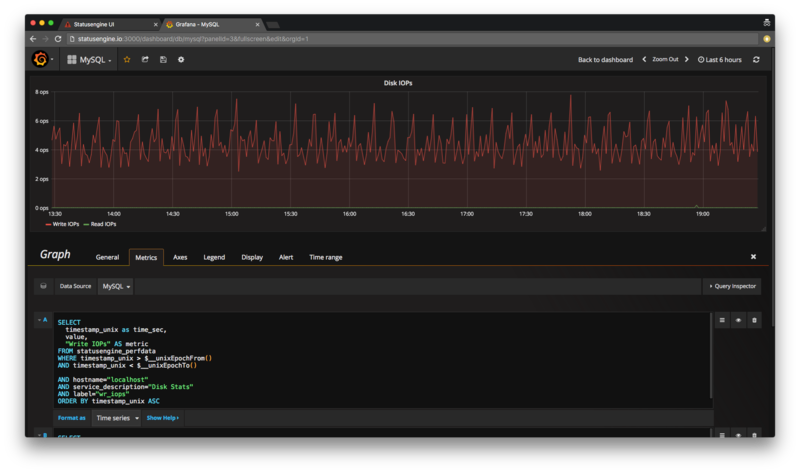 The Macros $__unixEpochFrom() and $__unixEpochTo() will be replaced by Grafana automatically. The MySQL Performance Data implementation is very simple. There are no partitions in use and data will just save as in every other table you know. The Statusengine Cleanup Cronjob will delete every record, where timestamp_unix is less than age_perfdata. age_perfdata is set in days.